Western Australia is home to more than eighty of the known frog species in Australia and new frogs are still being discovered. 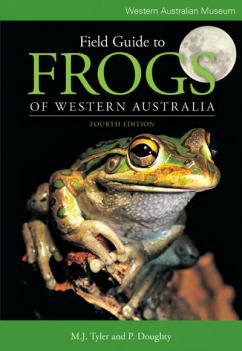 This comprehensive guide will appeal to general and specialist readers and students, to anyone with an interest in Australia’s frogs, which are such an important barometer of environmental health. Field Guide to Frogs of Western Australia presents up-to-date information on all species, including their distribution and habitat, and features extensive colour photographs and location maps to assist identification.